Milos is the most exotic islands of the Aegean sea. According to the Greek mythology that island was discovered by the goddess Aphrodite herself. It is the most spectacular island among Cyclades. The volcanic rocks make the beaches colorful. The rocks at beaches are in red, orange and total white colors and the waters are crystal clear with blue and green shades. Swimming in that sea is a unique experience that everyone has to live. The pirates who lived during the Middle Ages had settle their lairs on the island of Milos. Follow their trails and let your imagination free. There is a great number of luxurious hotels in the island of Milos where you can enjoy your staying as long as you desire, you should book the accommodation as soon as possible because there is a great number of tourists that choose to visit that Greek destination every summer. E-globaltravel is a tourist agency which offers you the opportunity to organize your vacations with you own special criteria in order to enjoy the best vacations of your life based on your own needs and expectations. How to travel to Milos? You can reach the island of Milos by airplane or by ferry. In order to make your life easier we give you the opportunity to find through us the most economic airtickets and ferrytickets for you and your company. 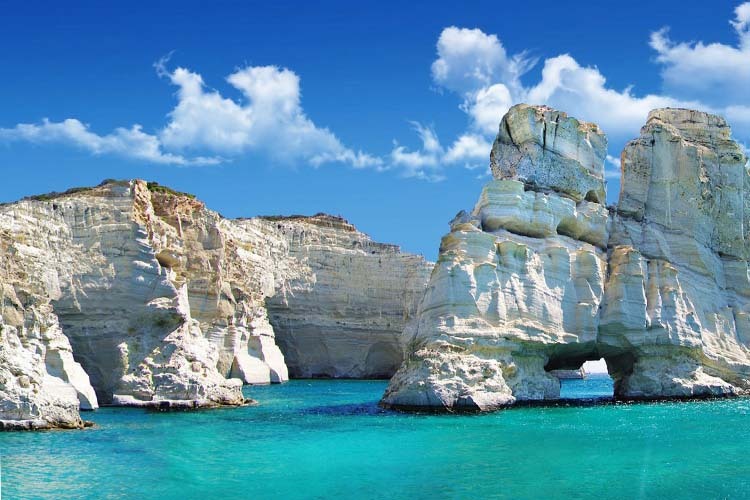 If you are going to travel to Greece in order to spend you vacations at the island of Milos you need to know that it will turn to be a great experience as you will have the opportunity to participate to numerous activities that you are going to love.